Senior Alexis Hogan was selected to the SGC Hall of Fame and received two of the most prestigious awards: MOST DEDICATED (The Dan Guarracino award) and SGC BEST OVERALL! Congratulations to Alexis! 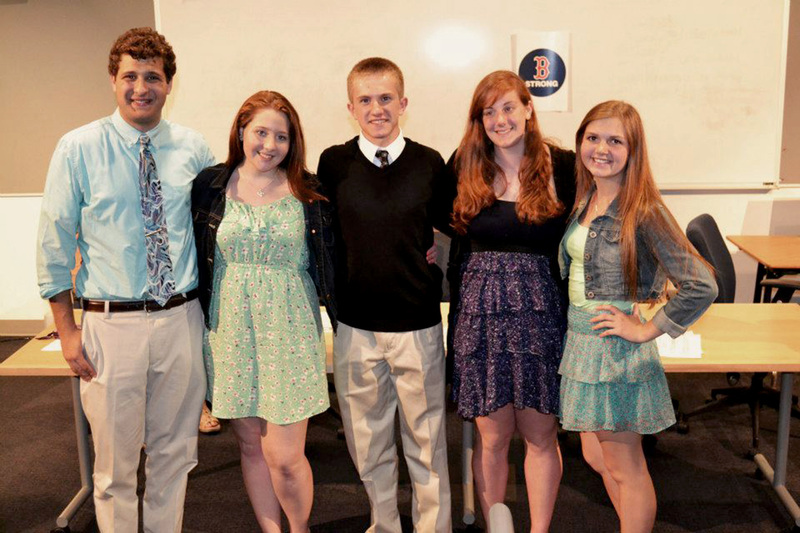 Chris Carchedi, Alexis Hogan, Tim Lorgeree, Brianna Novio and Shannon Gray at the SGC banquet. The SGC also voted to name one of the scholarships given to seniors by the SGC in honor of Mr. James Flanagan, advisor and social studies teacher who will be retiring this June.